Eugène Gilbertwas drafted into the France military service and after eight flying lessons was elevated to aviator pilot. Serious Injures from an aviation accident forced to leave the Military after six months of service. 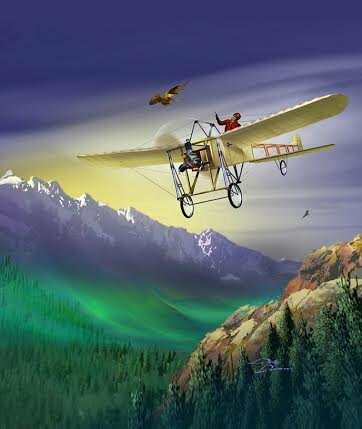 He entered aviation competitions as an outlet for his love of flying, where he quickly distinguished himself, flying a Blériot XI, in the 1911 Paris to Madrid air race, the route took him acrossthe Soulour Pass a sanctuary in the Pyrenees Mountains for eagles, he was attacked by an angry mother eagle defending her nest and young; to fend off the large bird, he fired his pistol in the air to avoid harming her.